The European Safety Promotion Network Rotorcraft (ESPN-R) is a mixed industry-authorities team established in January 2017 by the Rotorcraft Sectorial Committee (RSC), now called the Rotorcraft Committee (R.COM). The ESPN-R develops, disseminates and evaluates Safety Promotion (SP) material and actions on a voluntary basis in support of the R.COM, of EASA and of the industry. The ESPN-R can also contribute to Safety Promotion campaigns. The ESPN-R contributes to the implementation of rotorcraft Safety Promotion actions from the European Plan for Aviation Safety (EPAS), rotorcraft section, and can suggest Safety Promotion actions for inclusion in the EPAS or other considerations. Scope includes but is not limited to operations and (Safety) Management Systems, training and emerging safety-enhancing technologies, for which R&D material, studies, previous European Helicopter Safety Team (EHEST – closed in 2016) work and expert advice is considered. The ESPN-R also contributes to ensuring that Safety Promotion material reaches the target audience in addition to authority and industry channels. The ESPN-R facilitates the European Safety Promotion Network Rotorcraft forum on LinkedIn with over 1600 members and a more specific forum on Hoist Operation Safety Promotion. ESPN-R also orgainises an annual safety workshop in a major European Rotorcraft conference. 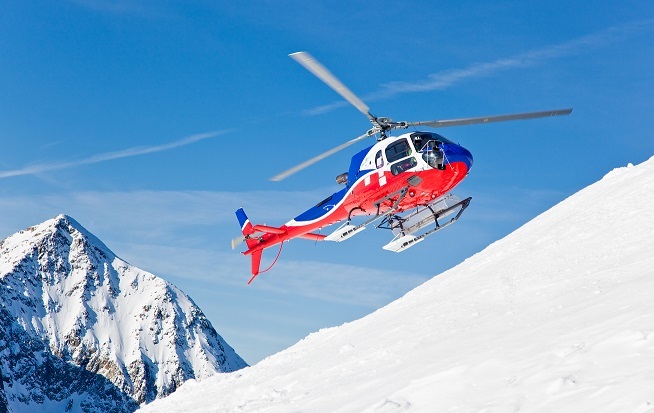 The ESPN-R manages relations with the International Helicopter Safety Foundation (IHSF) on behalf of the R.COM and informs and coordinates on rotorcraft Safety Promotion with the Safety Promotion Network (SPN), established by EASA in 2016. Members come from the former European Helicopter Safety Team (EHEST) community and the former European Helicopter Safety Implementation Team (EHSIT), the implementation team of the EHEST. The ESPN-R leverages the former EHSIT competences for development, dissemination and evaluation of Safety Promotion material and actions. The ESPN-R has three coordinators nominated by the R.COM for three years (renewable), one from the European Original Equipment Manufacturers (OEMs), one from the offshore operators and one from the onshore operators. EASA takes a coordination role to assure alignment with EASA objectives and processes.